Accusing the opposition parties of creating a false narrative based on lies, Finance Minister Arun Jaitley on Saturday said it was the BJP which will decide the agenda and control the narrative of the upcoming Lok Sabha polls through Prime Minister Narendra Modi's leadership and his government's performance over the last five years. Speaking on the party's political resolution on the last day of the two-day Bharatiya Janata Party (BJP) National Convention here, he asked party workers to aggressively push the basic principles of the BJP's ideology and foil the opposition's attempts to create a "false narrative" through facts about the Modi government's performance. Calling the idea of grand alliance a "coalition of rivals", he said it was a tested and failed idea with a shelf life of only a few months and that an aspirational society like India would never accept such a "scary alliance" which is characterised by policies being paralysed and a clash of ambitions of individual leaders. "They say they can't compete with the BJP on leadership, performance or ideology, so they say they will try to fight us through alliances," he said. He said if people accept Modi as their Prime Minister, then all the arithmetic of the alliance will fail and the chemistry at the ground level will bring Modi back as the Prime Minister. "Last time we got 282 seats, we will cross even that mark this time," he said. 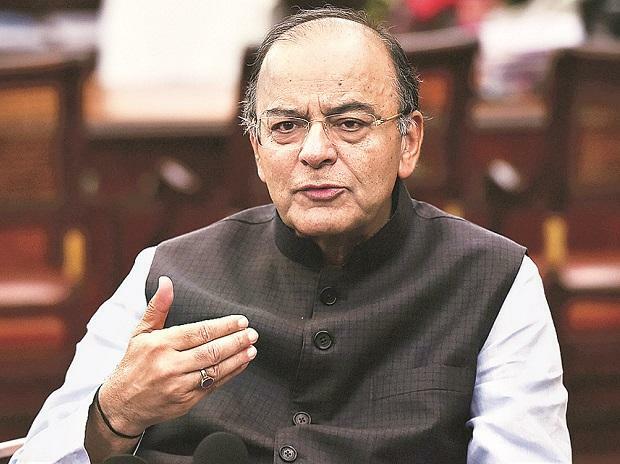 Jaitley said the next five months were purely election months and in every speech and every representation -- be it on newspapers or social media -- party workers should be focused on how can they help BJP win the election and how to make Modi the Prime Minister again. "We have to control the narrative of the elections. We will set the agenda of the Lok Sabha polls. I urge to you proceed aggressively in that direction as there is not even a single mistake (of the government) which may force you to back down," he said. The Finance Minister said the biggest agenda for the upcoming polls was the question of who will get the reigns of the country. "If each worker decides that the election would be fought on issue of leadership, no force in the world can defeat us," he said adding that there was no leader among the opposition parties who could match Modi in stature and that was why they were trying to divert attention from this issue. He said another important issue for the upcoming elections was the performance of the Modi government, adding it had actually benefited poor through a series of measures unlike the earlier governments that only gave slogans. Accusing the opposition parties of changing the narrative by lying, he said they were using that tactic whether it came to Rafale or the alleged waiver of loans to some industrialists. He claimed that the Prime Minister actually saved hundreds of crores of rupees by getting a 20 per cent cheaper Rafale deal and the opposition parties were not convinced even after the Supreme Court gave its last word on the issue. On the alleged waiver of loans worth Rs 2.5 crore of some industrialists, he said the government was actually bringing back money that the earlier UPA government had lost. "Lies cannot sustain a narrative. We will create the narrative by our performance and the leadership of Prime Minister Modi. I urge you all to aggressively bring to the people issues related to the basic principles of our ideology," he said.